An enticing roster of courses reflects the program’s diverse offerings, allowing undergrads to dig into the nitty gritty of Game Design & Development, Digital Storytelling, 3D Graphics & Animation, Video Production & Sound Design, and Web Design & Development. By the culminating year of their education, seniors tackle a wide variety of projects that showcase both their skills and their interests. From bioinformatics and character animation to website theme frameworks and augmented reality, IUPUI graduates are poised for a variety of opportunities. It’s little wonder that alumni can be found as far and wide as California’s big studios to working their magic in the nearby healthcare hub of Indianapolis. Development offerings, we caught up with Lecturer Mathew Powers. As contagiously passionate about his role as a mentor as he is about immersive gaming, Powers tells us about some of the unique features of the degree. We hope you enjoy! (This interview was done via phone and has been edited for length & clarity). ACR: Mat, tell us a little about your background and when you got hooked on games? Mathew Powers: I’ve always been an artist and a drawer. Since I was a kid, I’ve drawn non-human species… I’m currently up to about 4,300. I wanted to bring those drawings to life so I went into animation and game design. When Pokemon Blue came out in the nineties, I put 300 hours of my life into that game. My friends and I would talk Pokemon stats for hours yet our eyes glazed over in a math stats class. There was power in games that I felt wasn’t being harnessed. I also wanted a partnership between creator and consumer… games are an amazing outlet for that. So I devoted myself to that. ACR: At what point in your career did you decide to turn to academia and teach game design? MP: I graduated from (Indiana University) Bloomington and did freelance work until I took a job at Option Six, an e-learning company- doing work for Krispy Kreme and Microsoft. 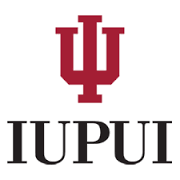 I started teaching game design and digital art classes part time and then the job opened up here at IUPUI about eight years ago. I teach video games… it’s incredible! ACR: For readers unfamiliar with the Media Arts & Science program in IUPUI’s School of Informatics & Computing, what’s the culture like? MP: The great thing is that I’m allowed to work with students in a very hand’s on fashion. This is a commuter college, and a lot of students come from challenging backgrounds. But it’s a solid group of kids. We have a couple hundred students in the department and many of them signed up for a single class and got hooked. In the time since I’ve been here, we went from 3 to 12 classes and it just keeps growing and getting more popular. We (earned) a MacArthur Foundation grant for teaching kids how to classify creatures. I teach a creature design course and we spend an entire semester creating alien life forms! This is what I’ve always done and now I get to share that passion with students. They really devote themselves to things knowing that the public will consume it, too. ACR: The program also has an enviable relationship with GenCon. How did that come about? MP: GenCon contacted us because of the community we have here in the department. I got an email from them about four years ago to partner and I was floored. Some of our kids come from some rough backgrounds but they are genius; their ideas are so cool. Gen Con liked what we were doing. We have between 25 and 45 students work for eight months of the year on an ARG gaming experience. One student created touch screen tables that people could play which had 32 touchpoints. To put that into context, Surface has 8. This year, we’re working with Unity Unreal engine and the Oculus Rift so that people can put on a headset, explore the world and collect clues. Students have heat lamps and fans so it’s totally immersive. The first year we ran the project, 185 people played it. The next year it debuted at IndyPopCon and had 900 people play it. It keeps getting bigger and more exciting. ACR: What a crazy cool experience for your students. What are some other ways they engage in their studies outside of class time? MP: Our students play and create games every chance they get. They formed our very active Gamers Guild and I try to facilitate that passion; they crave the community aspect of gaming. On any given Friday, we have 100-200 people making or playing games at the Gamers Guild and they are from every ethnicity and creed you can imagine. We have a lot of women in our department. In fact, Jennifer Bridgewater is our first female president of the Gamers Guild. Just within our department, we have so many clubs with such diversity that reflect our students’ backgrounds and interests. ACR: As for in-class assignments, give us the scoop on some of the more interesting projects that they do. MP: My creature project is going on a decade now and it’s a blast. We’ve also created a series of out-of-class productions courses that include pre-production and production. We have classes on the history of video games and on serious games and simulation. My colleague, (Lecturer) Todd Shelton, and I split duties on one upper-level class that students must first submit portfolios to gain acceptance because they aren’t all ready for it. That class is run like a company, with each ‘department’ -game design, art, 3D, experimental research- responsible for different tasks. There are department leaders and crews. Uniquely, there are only 2 grades issued for that class: A for ‘accepted’ and F for ‘fired’. I’ve only had to fire two students; we’ve had several students gain employment from that class alone! ACR: Are your students drawn mostly from the sciences or humanities? MP: Media Arts & Science is really at the intersection of so many areas of study and research which makes it so exciting. We have a little of both in terms of students from STEM and humanities backgrounds. I’m a big proponent of scheme; the arts and humanities are just as important as STEM. We have artists and creators… we’re a middle ground. The computer scientists come here for fun coding and the art school people find a home here, too, with more untraditional work. I encourage all students to take sculpture classes. We teach 2D and 3D classes here. They can use Maya or ZBrush or just write the stories. As an artist who fell into the science world myself, I make it a point to find a home for everyone who wants to be here. They need to have the drive and skill, but I’ll work with them. MP: That’s important. I want them to have experiences here that they’ll find on the job. We’re blessed with a solid budget for technology. The other thing is for them to be creative with these tools. They need instruction early on, but by their capstone project it’s all them. They produce live action to augmented reality and everything in between. With regard to the hardware and software that we choose, the job market here is a consideration. Unity is a big thing around here and many of our graduates will stay in the area and do medical simulation. I try to give them all options so that if they want to leave the area and go to a AAA studio in California- as many have done- they have the skills to do that. But if they want to remain local after graduation, we’ll have what they need to do gain employment for that, too. ACR: There’s a lot of uncharted territory in the world of interactive media and games. How do you help your students navigate these seas where there often aren’t any answers yet? MP: I want to prepare them for the highs and lows and the wandering, open space field of innovation that we’re in. I tell them all the time, we’re at the edge of the universe. The problem is that we live in a programmed society where people expect programming to already be there. But the answers aren’t always clear. You need to innovate. It can be scary and fun and you have to be ready to fail. They invent things as a class… often, I get off-script. I won’t lecture some days because I’d rather they experiment and innovate and see what’s possible on their own. It’s safe to do that here. Tech can be intimidating and we often don’t want to break anything or do anything wrong but that’s how innovation happens. I try to get the hermit crabs out of their shells which goes back to our community. We critique each other and then have soft drinks afterwards. It’s much better to be on the frontier pioneering.